Is the novelty of the September issues starting to wear off in the industry? It’s sure starting to feel that way with the unveiling of American Harper’s Bazaar‘s utterly random offering for the publication’s most important issue of the year. Following tradition since 2014, Carine Roitfeld’s “Icons” is the focus of the mag’s September 2018 offering photographed by Mario Sorrenti featuring families that rock. The newsstand cover goes to Bruce Springsteen and his daughter Jessica this year with the father-daughter duo posing together in the fairly basic and uneventful shot. Members of our forums were not fans of Bazaar‘s latest cover. “Well this is really disappointing. What is this doing in a fashion mag? This would be good for another magazine, but why this?” asked SLFC. “A magazine and editor get what they deserve when they opt to give readers freaking Bruce and Jessica Springsteen as their September cover stars. What the actual heck? I’m dumbfounded. This is so random that it’s not even remotely funny or… iconic!” declared vogue28. 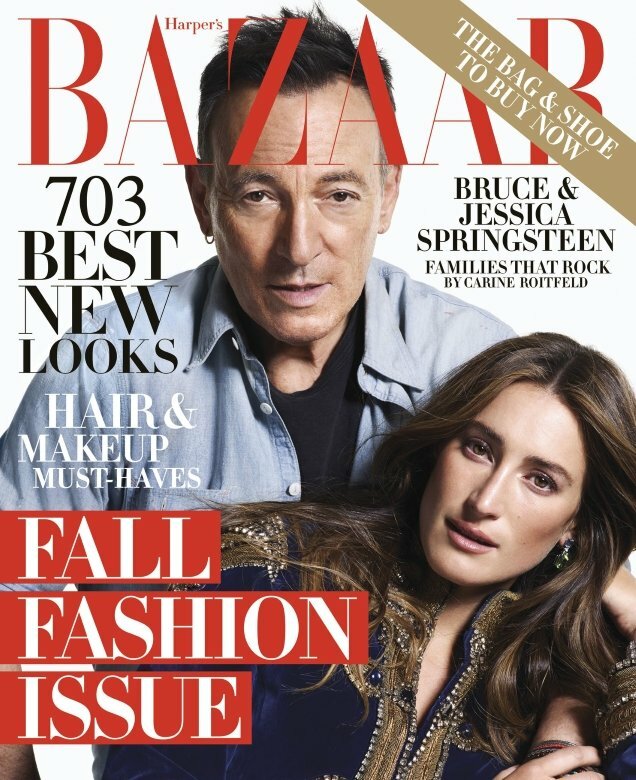 “Bruce Springsteen on the September issue cover for a women’s fashion mag? On what planet does that make sense? Also, not to be rude, but who the hell knows or cares about Jessica Springsteen on top of that? This is such a disaster I can’t even fathom what the logic behind this was,” echoed lelaid. “This is just awful,” stated LastNight. “As if we needed a whole issue dedicated to nepotism,” proclaimed Les_Sucettes. Are you a fan? Take a peek at Roitfeld’s accompanying “Icons 2018” shoot and join the debate here.